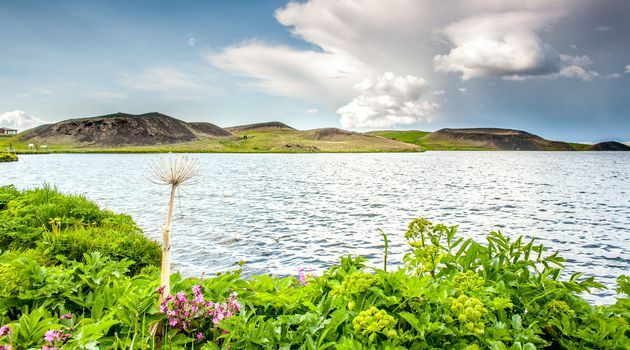 The Lake Mývatn area is by many considered the most beautiful place in Iceland. 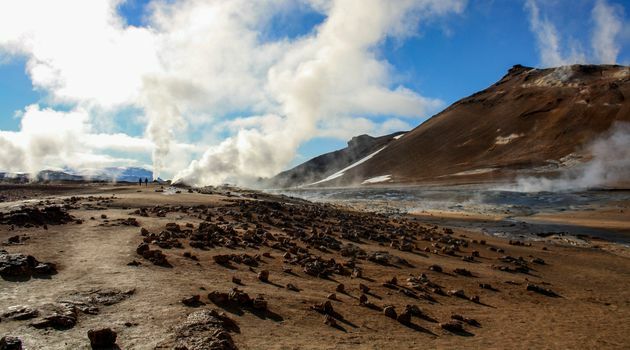 This has been one of Iceland’s most popular tourist destinations for years. An amazing journey through an area of extreme contrasts and nature’s diversity. The lake area has been a filming location for major Hollywood films and TV shows, such as Game of Thrones, Fast & Furious and Star Wars. Pickup is from 8:45-9:00 am, when we start our tour to Lake Mývatn. We drive east from Akureyri, cross Eyjafjörður fjord and enjoy the view of the town, the ocean and the mountains surrounding the fjord. After only a half hour drive we arrive at the picturesque Goðafoss Waterfall. there we make a stop before we travel for another half hour to the Lake Mývatn area. We explore the pseudo-craters of Skútustaðagígar where we enjoy the great panoramic view of the area. 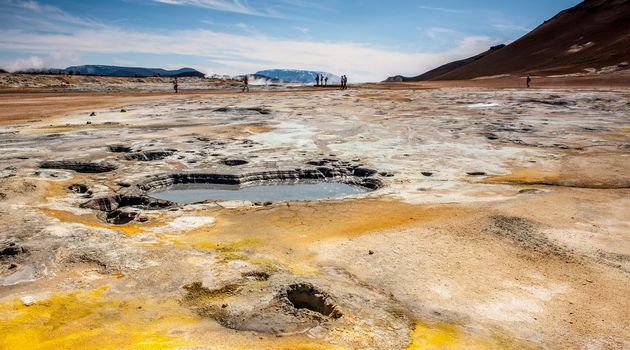 For the next hours we visit local nature highlights, such as Hverir Mud Pools, Mt. 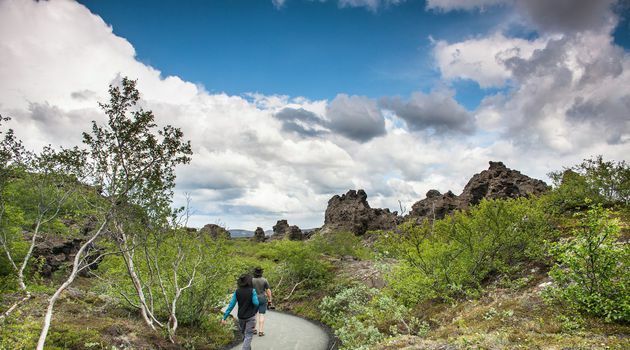 Námafjall, Dimmuborgir Lava Fields and Grjótagjá cave. There the rift between the Eurasian & American Continents is very visible. Before returning back to Akureyri we visit the Mývatn Nature Baths. 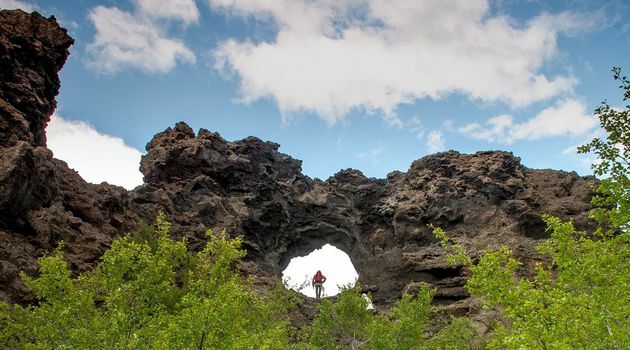 The baths are located in the middle of lava fields where you can soak in a relaxing geothermal lagoon. The entry fee is not included in the tour price, but can be added upon booking the tour or paid on site. We stop for at least 1 hour at the Nature Baths. 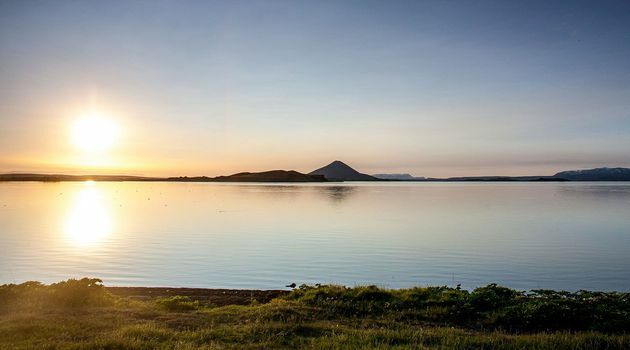 We offer number of other tours that take you to, from or around the Lake Mývatn area.